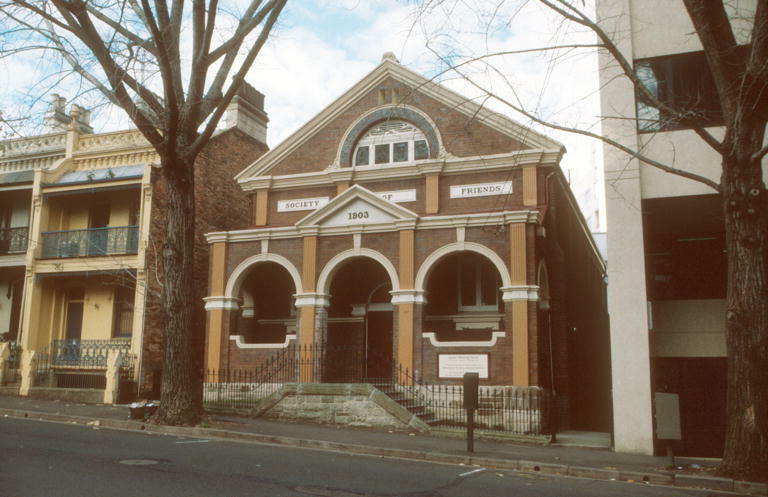 The Quaker Meeting House in inner Sydney’s Surry Hills was established in 1903. 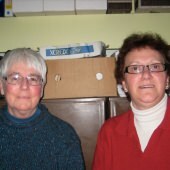 In this interview Jenny Madeline and Jackie Perkins talk about their personal histories and the history of the Religious Society of Friends (Quakers) in Sydney along with its principles and activities. 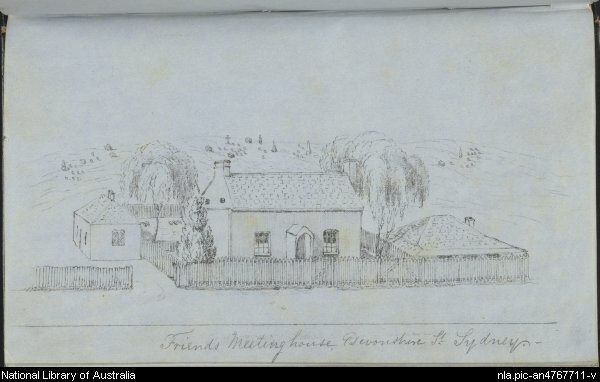 In the excerpt below they retell some early stories of the Meeting House and why it is located in Surry Hills. Jenny: They wanted to remain in this area [Surry Hills] and to be providing a service to the community. I mean obviously things were very different a hundred years ago I guess with respect to the population and spread of Sydney generally, but there seemed to be both a desire to be somewhere central but also this sense of a mission to the people in the area. So in the early days of this meeting house the adult school classes were held here and there was a girls’ club run by my great aunt and a boys’ club run by my grandfather Stanley Allen, and there was a free kindergarten in the lower hall that was run from about 1906 I think, for local children. 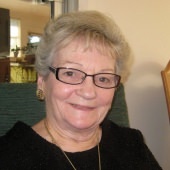 Jackie: The story I like is that there were a number of small factories in this area and the workers had nowhere to eat their lunch, so they were actually sitting on the side of the pavement or in the gutters to eat their lunch and the Quakers made the lower hall available so that they could come in and have their lunch, sit down, have their meal in peace and safety too.